Until April 2016, construction of all of my electronics projects was done using a cheap, low powered, soldering iron, but, then I decided that I really needed something better. 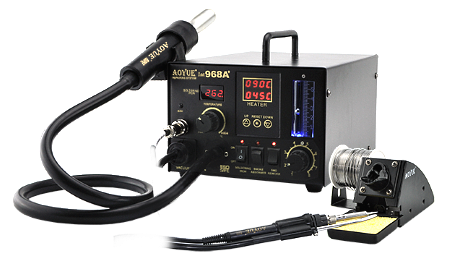 Initially, I thought that I just needed a better quality soldering iron, but with more and more components only being available in surface mount packages, I thought that I should get a solder rework station too. I did a bit of "Googling" and was overwhelmed by the number, variety and price ranges of the systems that were available. 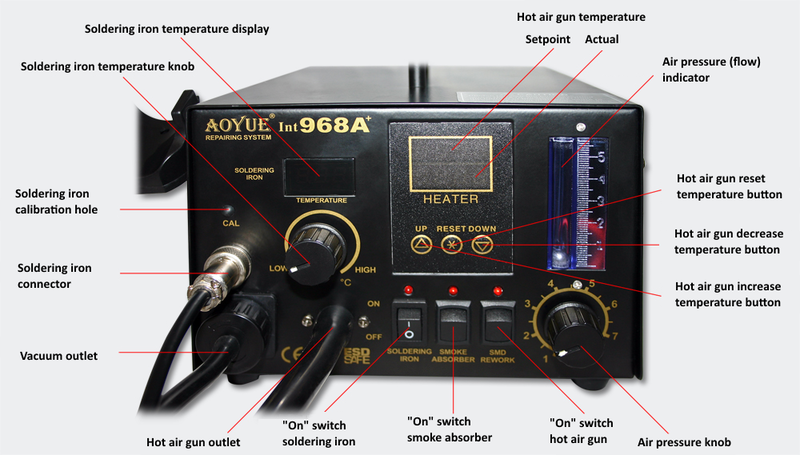 I eventually chose a Aoyue 968a+, this is manufactured in China, but seemed to get pretty positive reviews. Auto-cooling functionality. Blows air to cool down the system to a safe temperature before tuning off. 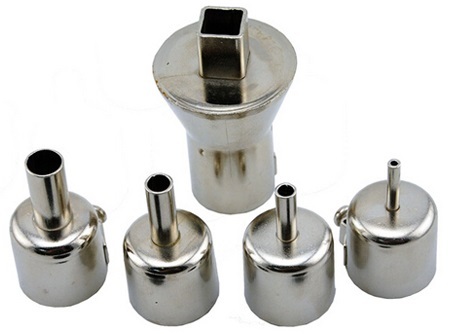 Compatibility with various types of air nozzles. 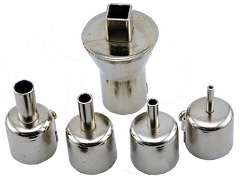 Compatibility with different kinds of soldering tips. Photo of the main unit, annotated to identify the function of the various displays and switches. 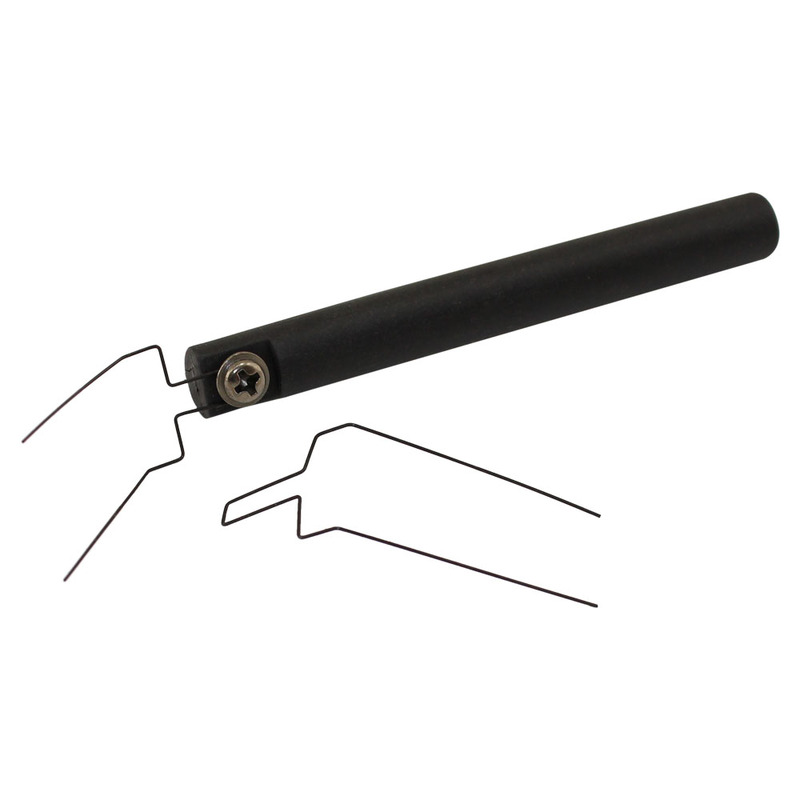 As the photo shows, the combined iron and smoke absorber is a little thicker than the iron alone would be, but it is surprisingly comfortable to hold and use. 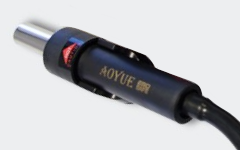 The soldering iron tip, the narrow tube above the tip is the smoke absorber. 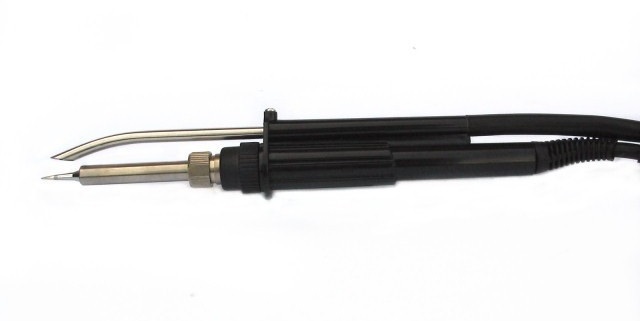 The soldering iron stand, with shaped hole to take the customised profile of the tip and smoke absorber. 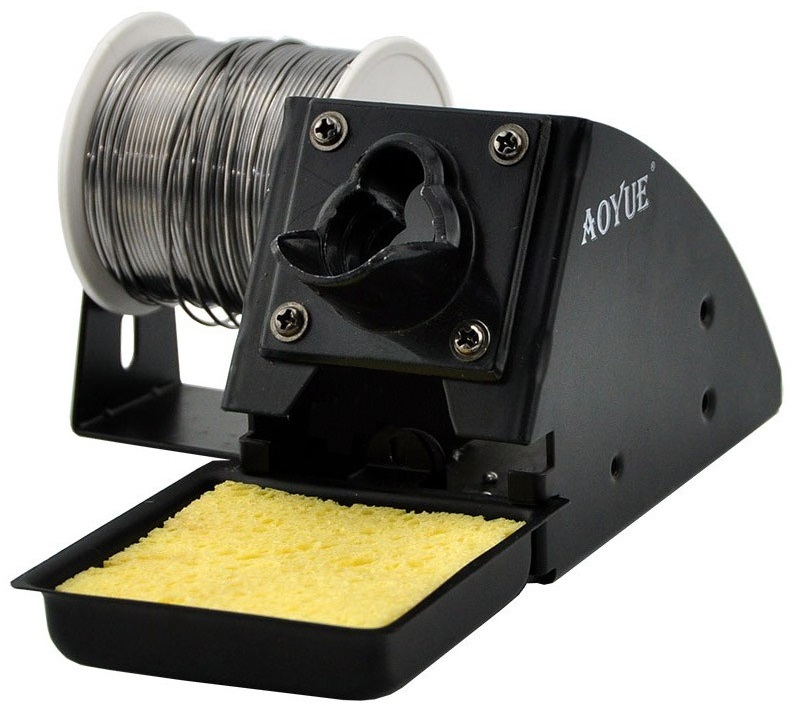 The stand includes a solder reel holder which is a nice touch. 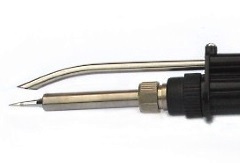 The heat gun is supplied with air from the pump inside the main unit and a heater in the body of the gun raises the temperature to the value set on the display.